Thunder, lightning and the threat of flash floods couldn’t stop me from checking out Honolulu’s newest up-and-coming public transportation. No, the rail didn’t open early. 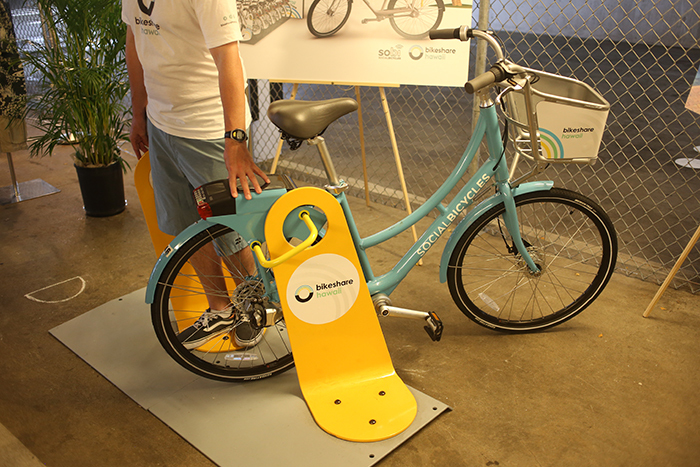 I had the pleasure of attending the Bikeshare Hawaii open house Wednesday evening at the Honolulu Design Center. 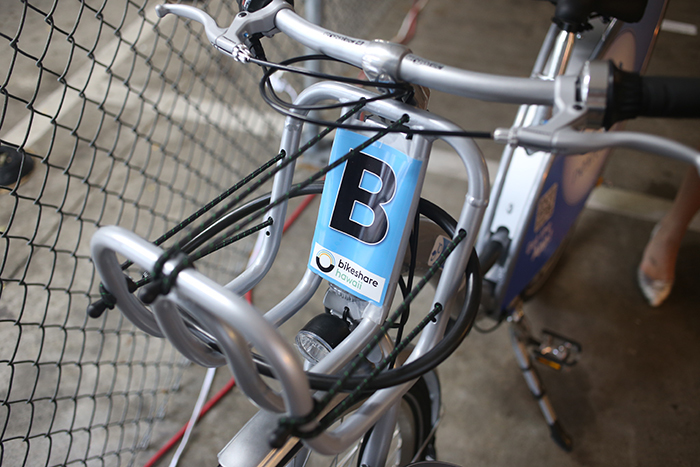 Bikeshare is a system of publicly accessible bikes that customers can use for short trips between a network of unattended docking stations. 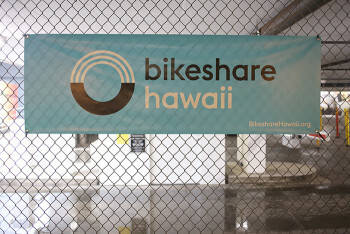 It’s already popular in big cities on the mainland, so I guess it’s about time it came to Hawaii. 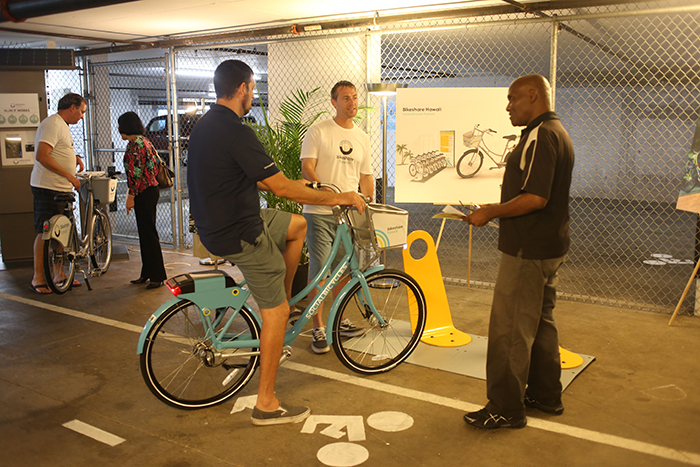 The open house invited people to help choose the bike for the new network. 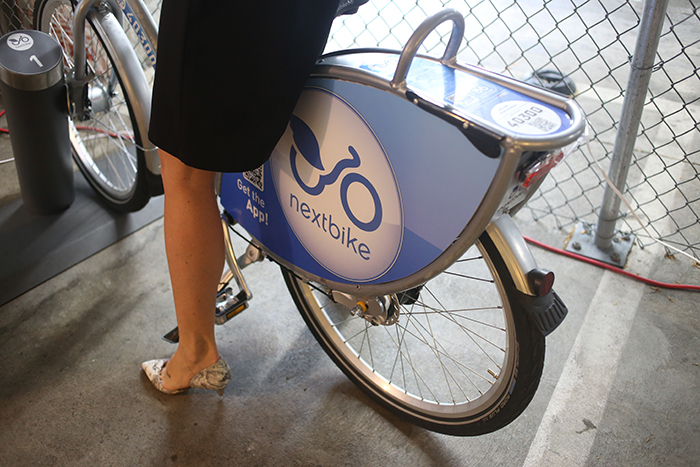 All the bikes are adjustable for very short people and very tall people, but the most intriguing part is they are designed for anyone, including people in dresses and heels. 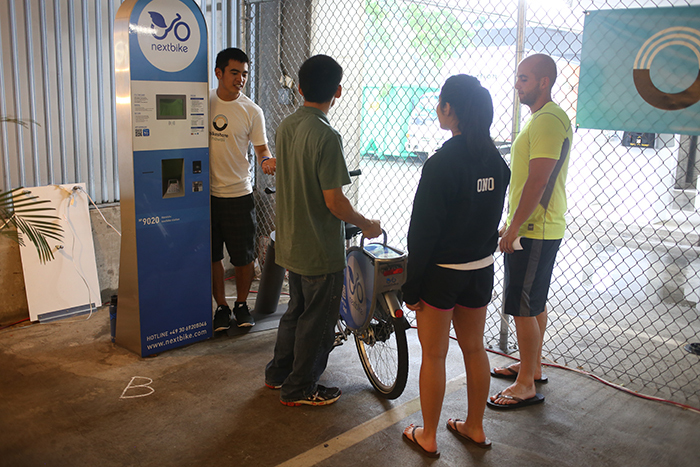 Here’s how it works: You make a payment at a docking station via credit card or membership card. The bike gets released from the dock. You bicycle to your destination station, which is probably one to four miles away, within your alloted time, usually 30 minutes to an hour. Slowpokes who take longer than their planned time get extra charges on their card. 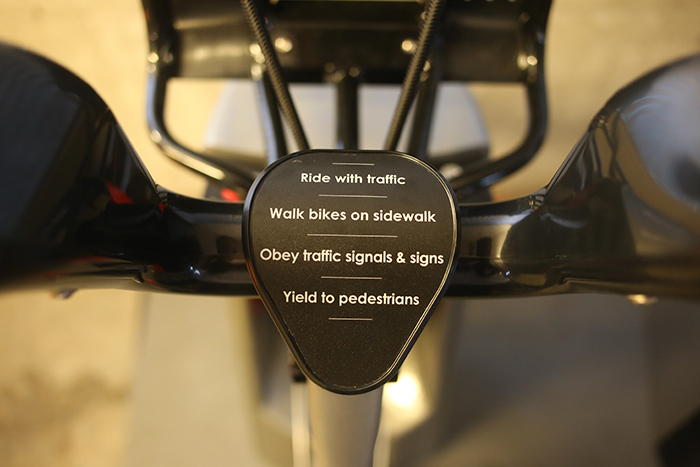 All the bikes have an internal geo-tracking system, meaning that stealing is not an option. 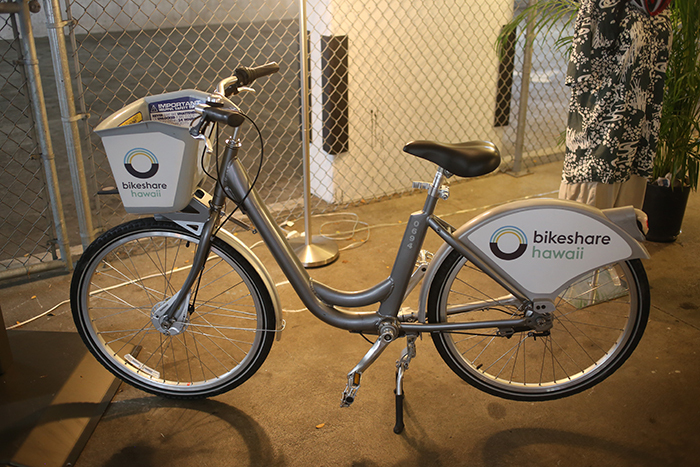 Bikeshare plans to have about 2,000 bikes at 200 stations from Diamond Head to Chinatown. That’s a lot of stations. The stations will be 800 to 900 feet apart, meaning you can pretty much see the next one. 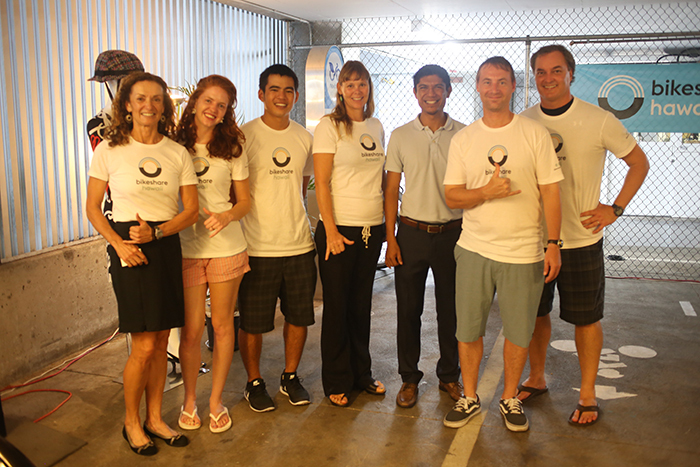 They will be primarily makai of H-1, but including Makiki and the University of Hawaii at Manoa. The tentative start date is sometime in 2016. So how do you sign up? 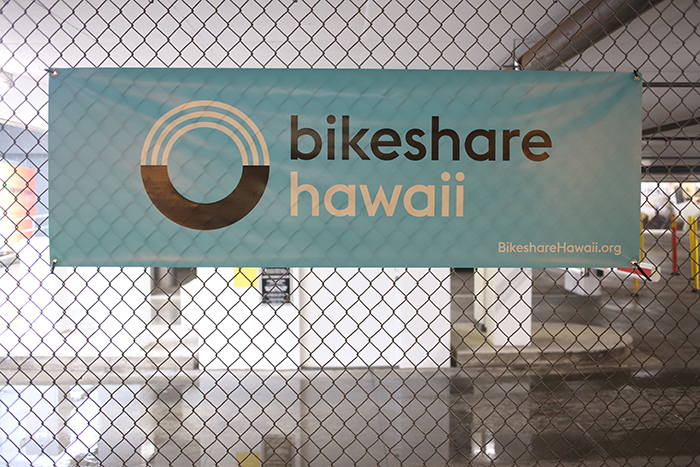 Visit the Bikeshare Hawaii website.